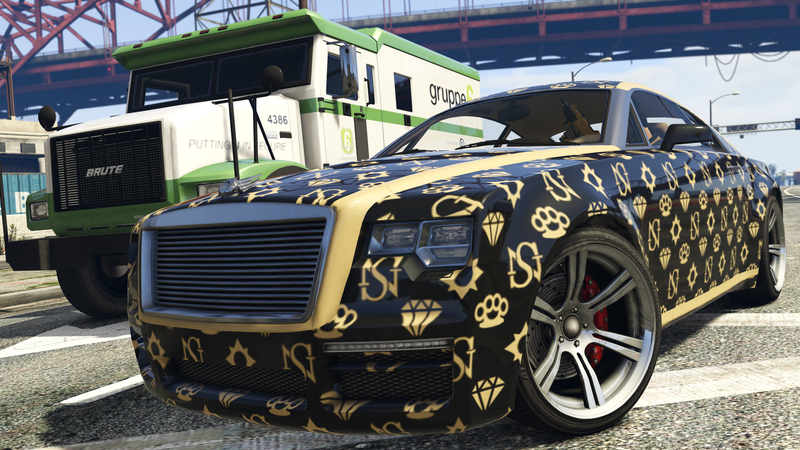 From now until August 18th, Extraction, Hunting Pack and the latest GTA Online Adversary Mode, Entourage, are all paying out Double GTA$ and RP. To begin reaping the rewards as soon as you enter the game, look out for the Playlist button on the GTAV launch screens, which will drop you straight into a Playlist featuring all three modes. For those already in-game, you may have noticed the new Adversary Mode corona in downtown Los Santos that was introduced with Cunning Stunts. Walking into the blip will take you straight into an active Adversary Mode, and this week it can quickly place you in a lobby to play either Extraction, Entourage or Hunting Pack. Finally, this week's Premium Stunt Race is Vespucci, and is locked to the new Progen Tyrus, released with Cunning Stunts. First place finishers receive GTA$100,000, second place GTA$30,000 and third place earns back their GTA$20,000 entry fee. And all racers are guaranteed Triple RP. To join a Premium Race, enter the yellow Premium Race blip at Legion Square, pay the cover charge, and take on seven rivals to win big. 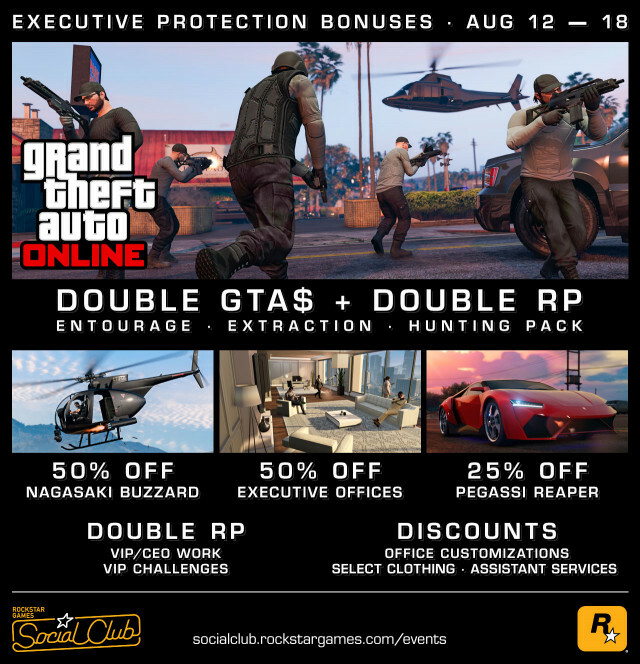 Executive Protection Bonuses and Discounts - Fresh deals for the next week in new-gen GTA Online!